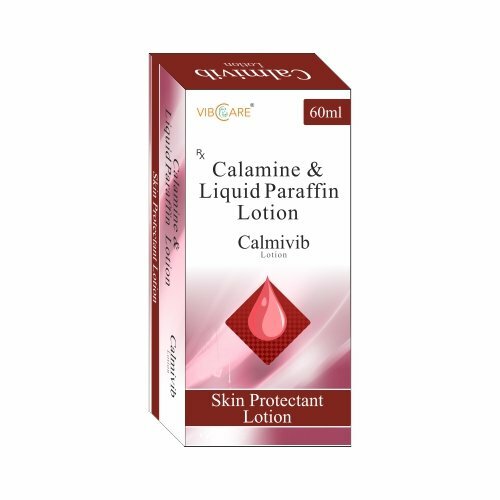 Calamine / Light Liquid Paraffin is used for Sunburn, Urticaria, Insect bite, Contact dermatitis, Pain and itching associated with minor skin irritations and rashes, Dries the oozing and weeping of poison, Constipation, Wounds and other conditions. This salt combination may also be used for purposes not listed in this medication guide. The most commonly reported side-effects of Calamine / Light Liquid Paraffin are hives, difficult breathing, swelling of the face, lips, tongue or throat, irritation, pruritus, and malabsorption of fat soluble vitamins. Before using Calamine / Light Liquid Paraffin, inform your doctor about your current list of medications, over the counter products (e.g. vitamins, herbal supplements, etc. ), allergies, pre-existing diseases, and current health conditions (e.g. pregnancy, upcoming surgery, etc.). Some health conditions may make you more susceptible to the side-effects of the drug. Take as directed by your doctor or follow the direction printed on the product insert. Dosage is based on your condition. Tell your doctor if your condition persists or worsens. Important counseling points are listed below.